Texas' youth ultimate scene is still small, but its future is bright. This piece is part of a series of articles about the Youth Division leading up to the Youth Club Championships this weekend. The series is presented by Spin Ultimate, the official merchandiser at YCC. Texas has the second-largest population in the United States. Over five million K-12 students attend school in the Lone Star state. The potential for youth ultimate, like most else in Texas, is enormous. But Texas is also the state that extends to the second-largest area in the country, so organizing youth ultimate has proven to be a considerable challenge. Humble beginnings at the high school level have not seen considerable growth over the past decade. But signs are starting to point to an upswing. With sights set high heading into YCCs, it may be time we start associating a different Lone Star mantra with youth ultimate in the state: Don’t mess with Texas. The first USA Ultimate sanctioned Texas state championship tournament was held in 2011, where Marcus High School won the title in a 14-team Boys’ Division. Fast-forward to 2017 and… Marcus High School won the title in a 14-team boys division. While on the surface it might appear that little has changed, the past seven years, in fact, have been revolutionary. Youth ultimate in the state has traditionally been the province of school-based play, but the recent emergence of several youth club programs has been a huge shift. Three different teams now compete in the U20 Boys’ Division at YCC – North Texas Two Step (est. 2013), Houston Helix (est. 2015), and Austin Amigos (est. 2017). Another, Texas Swing (est. 2017), brings together a squad of U17 boys from across the state. Those teams not only expose young players in the state to the best the country has to offer, but those players in turn bring their experiences back to their school teams, raising the overall level of play in the state. Another significant development has been the creation of formal opportunities for female players. While there has yet to be a separate girls division at the state level, USA Ultimate introduced a five-team Mixed Division state championship in 2014. Additionally, a U20 girls YCC team, Texas Tango, was created in 2015 and includes girls from across the state. Most of the organized ultimate in Texas takes place in just two locations: the Dallas-Ft. Worth and Austin metropolitan areas. While this lack of geographic diversity may appear to point to an exceedingly concentrated community, once again Texas’ sheer size begs to differ. Just the DFW metropolitan area alone covers more square miles than the whole of New Jersey. That means that hosting clinics and leagues has proven to be a daunting task. Organizations such as Texas Youth Ultimate and the Dallas Ultimate Association have done a tremendous job of creating opportunities at the youth level; TYU hosts a school-based fall league and spring league, while DUA hosts a winter league in which players are drafted and coached by adult volunteers. Darius Tse — coach of Texas Swing — has been a dominant figure in the organization of North Texas youth ultimate. Meanwhile, Austin’s youth scene has been developed under the oversight of the Ultimate Players League of Austin, with Libby Cravens — coach of Texas Tango — taking on a primary leadership role. Austin offers a school-based spring league, as well as various pickup opportunities and clinics. Unlike DFW, Austin’s spring league offers a middle school division. The USAU state championship tournament is also routinely hosted in the Austin area, resulting in the participation of more Austin-area teams than DFW teams. Houston possesses the only other notable youth scene in Texas, although its current composition pales in comparison to DFW and Austin. Its 2017 high school spring league was organized by team captains, not the Houston Ultimate Community, and only six teams participated. Just one school — Cypress Ridge — competed in the USAU state championship tournament, compared to five schools from DFW and 11 from Austin. San Antonio, despite having a metro population of nearly 2.5 million, does not have a significant youth scene. The same holds true in places like West Texas and the Panhandle. Beginning in 2013, teams from across the state have met in Waco each November to play in a round-robin pitting North Texas teams against South Texas teams. The tournament has been used to spark interest in the sport during the fall semester, and it also helps organizers with seeding for the state championship tournament in May. From 2011 to 2017, 42 different schools have competed in the USAU state championship tournament. Three — Belton (Austin), Highland Park (DFW), and Marcus (DFW) — have competed in all seven tournaments. Meanwhile, Anderson (Austin), Coppell (DFW), Lake Travis (Austin), and LASA (Austin) have competed in six each. DFW has dominated the landscape: teams from Dallas-Ft. Worth have laid claim to five of the seven boys championships and three of the four mixed championships. Marcus and Coppell have been the two standout programs. 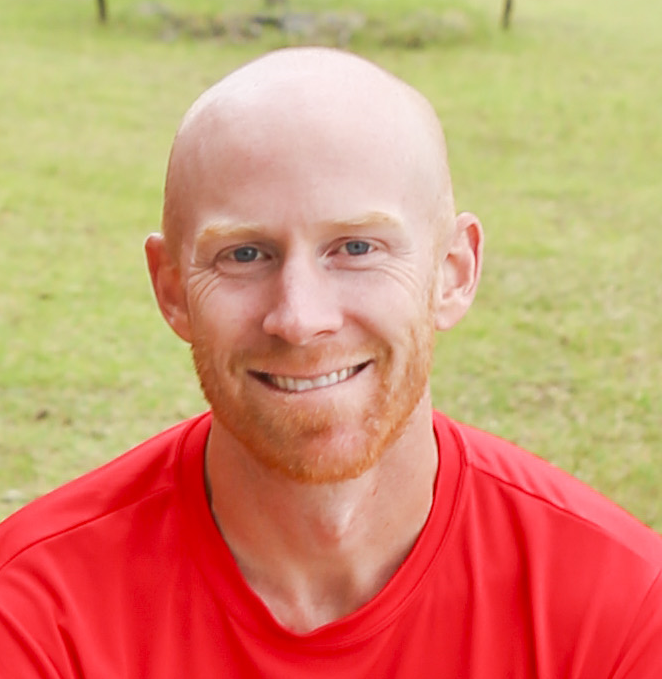 Marcus won boys’ titles in 2011, 2016, and 2017, as well as mixed titles in 2016 and 2017. Meanwhile, Coppell won back-to-back boys championships in 2013 and 2014, and the school has been a semifinalist in each of the past three years. Both programs have large enough numbers to compete in both divisions. Meanwhile, Belton, Bowie, and Lake Travis have been traditional powerhouses in the Austin area. Belton won the state’s first mixed title in 2014, and its boys team was a semifinalist in 2017. Bowie won the 2012 boys championship, and its mixed team was a finalist in 2016 and 2017. Lake Travis won the boys championship in 2015 and was a finalist again in 2017. Other noteworthy programs include Hays (Austin), McCallum (Austin), and Southlake Carroll (Dallas) in the boys division. Hyde Park (Austin) had a strong 2017 in the mixed division, while one of the best mixed teams in DFW, Lucas-Plano — a collection of home-schooled students and players from schools without ultimate programs — was unable to compete for a state title due to eligibility guidelines. Some of the strongest programs from previous years are now defunct. Colleyville Heritage (2012 boys finalist), Flower Mound (2013 boys semifinalist), and Hillcrest (2015 mixed champion) dissolved after the departure of star-studded senior classes. None of those teams prioritized the development of underclassmen, so there was nobody left to carry on the tradition after graduation. Other programs have fallen apart due to a lack of consistent leadership. Coaches can be hard to find and even harder to retain. Few schools are lucky enough to have ultimate players on staff, so most youth programs require community volunteers. The time commitment — coupled with a lack of compensation — leads many coaches to walk away after a year or two. Marcus has benefitted from consistent leadership over a 10-year period, while Kyle Pierce of Belton and Darius Tse of Highland Park have been helming their programs for at least five years apiece. However, most of the coaches at the 2017 state championship tournament were in their first or second years with their teams. The tournament itself does not completely reflect the level of youth participation in Texas. Many teams choose not to participate due to financial constraints. Each player at the tournament has to pay for a USA Ultimate membership — even though very few will use those memberships to play club or YCC — plus coaches have to pay for memberships and background checks. Those financial considerations, coupled with the costs of travel, give many teams pause. Additionally, powerhouse programs with storied histories and rosters full of YCC talent can act as an additional deterrent to emerging programs. Many teams choose not to participate because they know they’re not in a position to win. 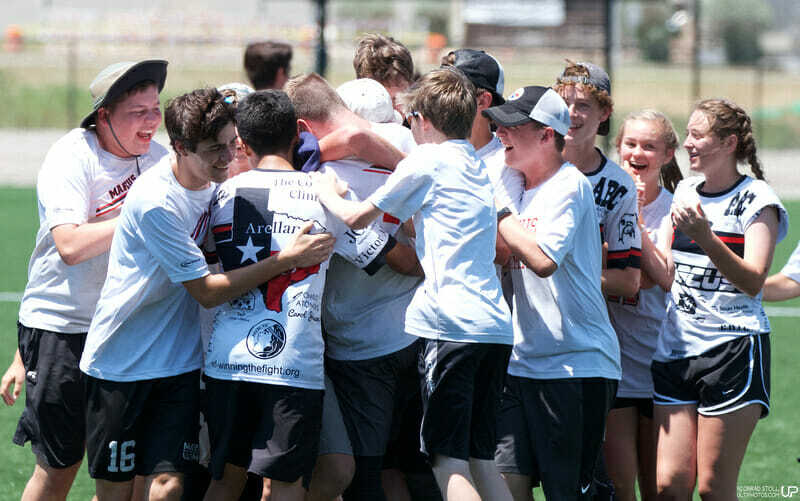 North Texas Two Step and Texas Tango have finished as high as fifth at the Youth Club Championships, and the Marcus Boys and Girls were both ranked in Ultiworld’s Top 25 last season. Texas players have clearly proven that they can compete against the best from across the country. The creation of five YCC teams has strengthened the overall quality of play in Texas. The players on those teams benefit from additional coaching and game reps, and they’re able to take their experiences back to their schools in the fall, sharing their knowledge with teammates and elevating the level of play at practice. Furthermore, TYU and UPLA have been doing a wonderful job of providing competitive opportunities for youth teams in DFW and Austin, respectively. They tailor those opportunities to the developmental level of each team, allowing newer programs to grow at their own paces. Organizers have been consistently offering new opportunities to players, and so the expansion and enhancement of ultimate in Texas has been slow and steady. Due to geographical separation, the rest of the country might only see occasionally glimpses of the Texas product, but the trajectory of the sport in the Lone Star State is incredibly exciting. Comments on "Lone Star: The Story Of Texas Youth Ultimate"